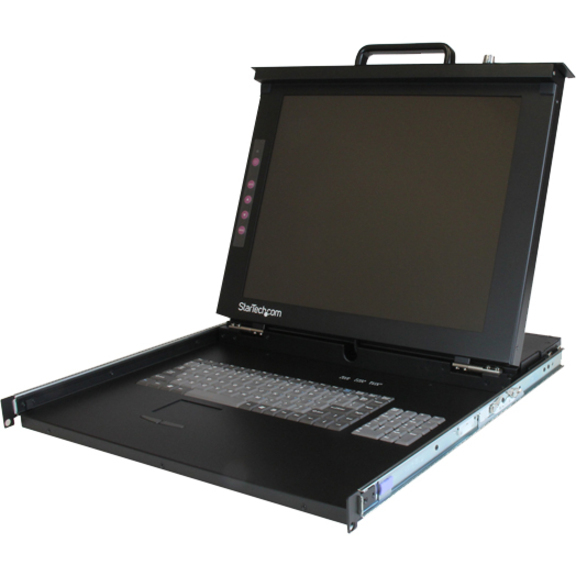 The KVM Rack Console integrates a 17in TFT-LCD monitor, full 105-key keyboard and touchpad together into a durable, compactable 1U design. 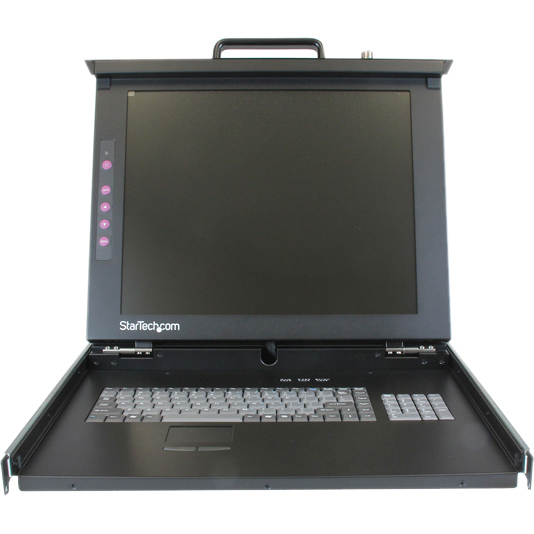 When the rack console is not in use, it's as simple as folding the display and keyboard/mouse up (like a laptop computer) and sliding it back into the server rack on the sturdy mounting rails (included). 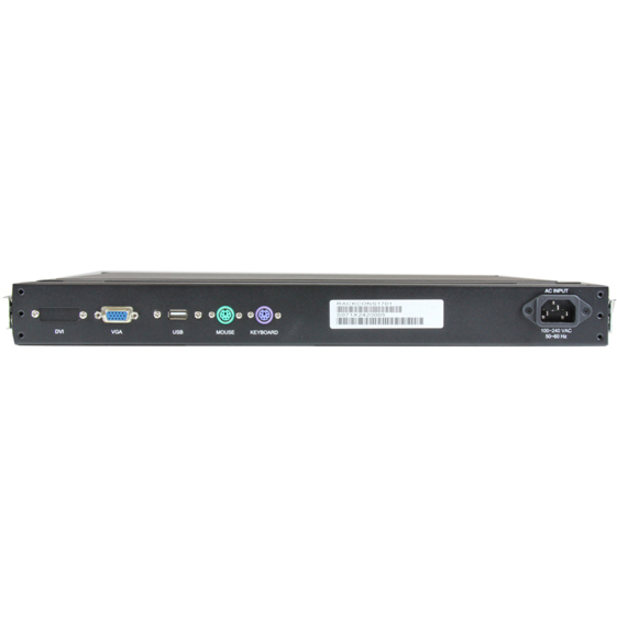 Offering consolidated control from a convenient location, the KVM rack console can be connected to virtually any multiport KVM switch, for control of multiple servers/computers, providing a scalable KVM control solution that lets you determine the type of KVM switch to use based on function and budget.